The MCI JH24 is recognised as one of the best sounding machines from the eighties, this machine is in good condition and ready to use. Jon Hiseman drummer with Colosseum was looking for a 24 track machine in the 90's he tried every model available at that time, including Studer, Otari, Ampex and a Saturn 824 machines, but he chose an MCI JH24, he said it was the best sounding machine for recording drums, in fact he bought 2 of them.
" 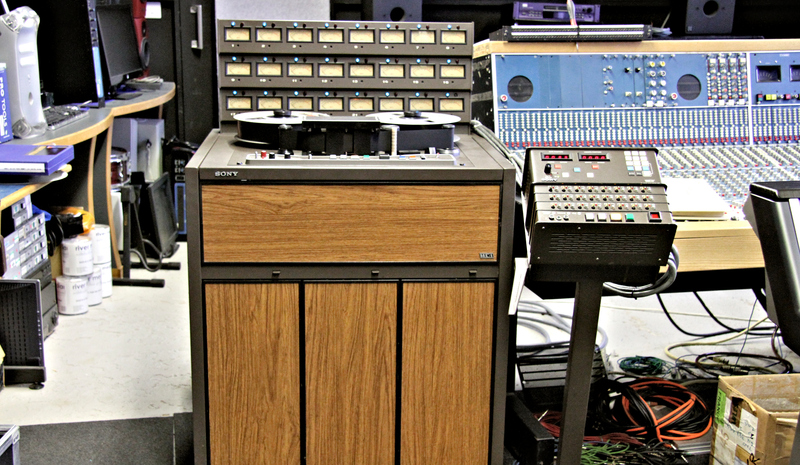 The machine was bought new and installed in 1986 by producer Steve Lillywhite in his home studio to mix and record Kirsty MacColl as well as other projects. I took over the studio when I moved into the house with Kirsty in ‘97. We recorded her last ever tune on that machine in ‘99. I shifted to digital around 2000(ish) and it’s been used to transfer the odd 2” but not been used in anger for a good while. I would imagine it has pretty low hours overall to be honest." Unfortunately there is no hours used clock on MCI machines so we cannot confirm the hours used however the machine is in very good order and there is plenty of use left in the heads, it has been serviced by Chris Roberts who replaced some bearings in the capstan assembly and aligned . The machine comes with an MCI Remote / Autolocator plus interface cables which are terminated with Edac connectors and a 96 way patchbay with Edac inputs, the machine used 48 sockets leaving 48 free sockets. It is possible to use the spare 48 sockets in the patchbay to connect the machine to your console.